We are a leading Manufacturer of apparel cutter from New Delhi, India. Equipped with the various functionality required by the apparel and fashion industry APC-130 excels at its ease of use. 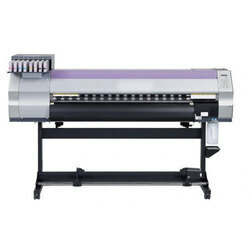 The plotter displays a high accuracy of plotting and cutting all kinds of design ideas and shapes.